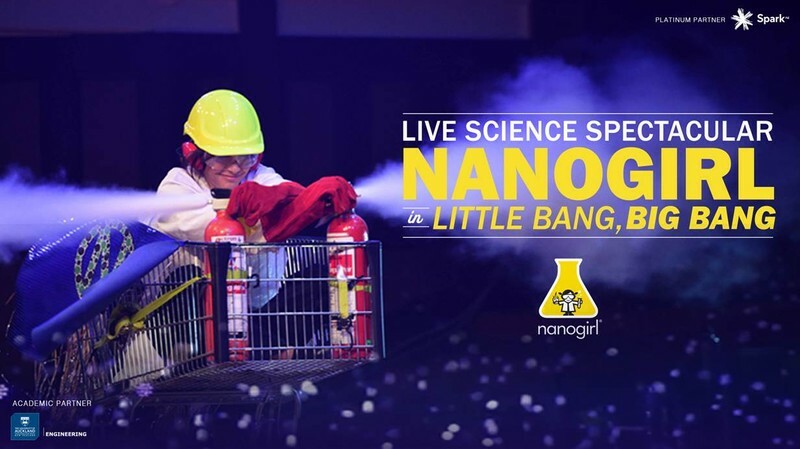 Spark NZ and the University of Auckland Faculty of Engineering Present Nanogirl in Little Bang, Big Bang - a Live Science Spectacular. Nanogirl explains the science behind each experiment in a way that's fun and easy to understand. We start with a small experiment to explain each idea (the Little Bang) - often with the help of a volunteer from the audience - then Nanogirl and Boris take the same principle and turn it up to Big Bang scale!